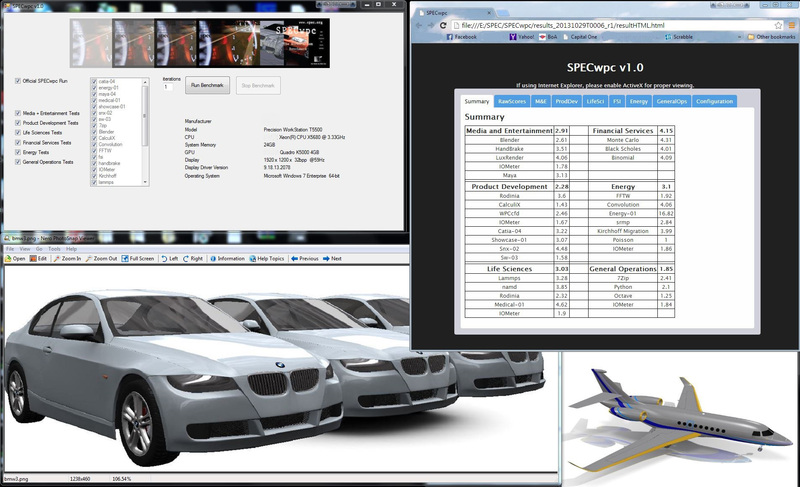 SPECviewperf 12 goes live -- The SPEC graphics performance characterization (SPECgpc) group has released the biggest revision of SPECviewperf since its inception. Greater API support, extensibility and automation, along with all-new viewsets. Download it (free for non-commercial users). Purchase it if you're a commercial entity. Use it as the ultimate development and marketing tool. See initial results on the SPEC website. New workstation benchmark sprints from the gate -- The new SPECwpc benchmark has made its mark on the professional computing industry just six weeks after release, with two-dozen results live on the SPEC website. It's free to non-commercial entities; $5,000 (and worth every penny) for commercial organizations. Around the globe with SPEC/GWPG -- See 84 articles mentioning SPEC/GWPG, its products and benchmark results from websites around the world in October and November. Potential viewership of the articles is more than 34 million. You received this e-bulletin because you requested it on the SPEC/GWPG web site or you downloaded a free benchmark and agreed to receive an e-newsletter. If you wish to unsubscribe, please do so at the bottom of this e-mail.